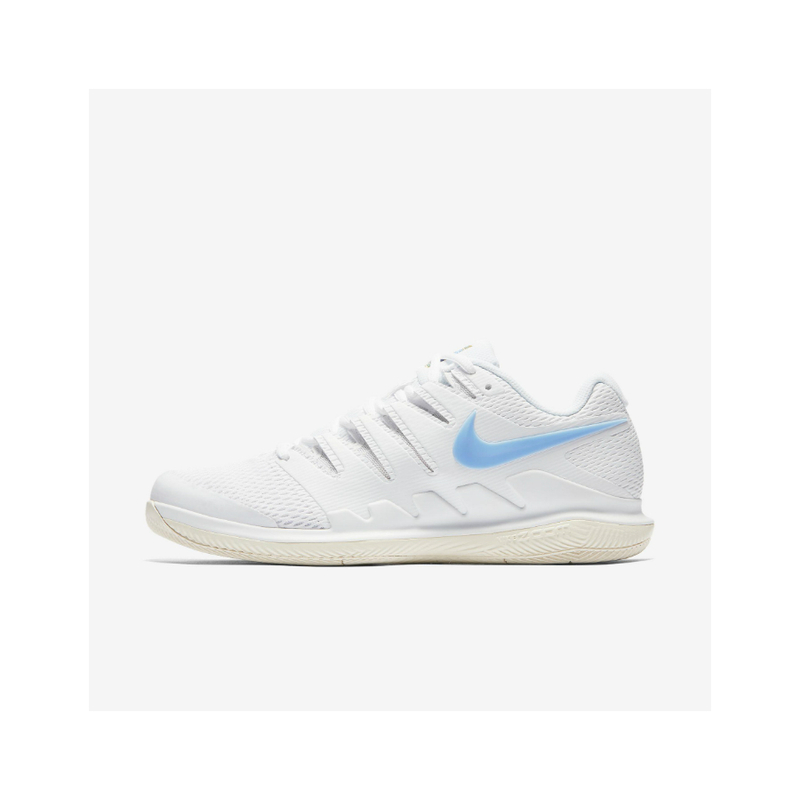 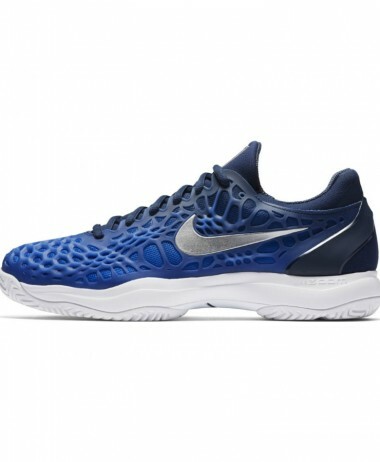 NIKE AIR ZOOM VAPOR X HC Hard Court Shoe – The high performance NIKE Vapor series are the benchmark for professional tennis footwear and are not only championed by Roger Federer, but 81% of all NikeCourt athletes. 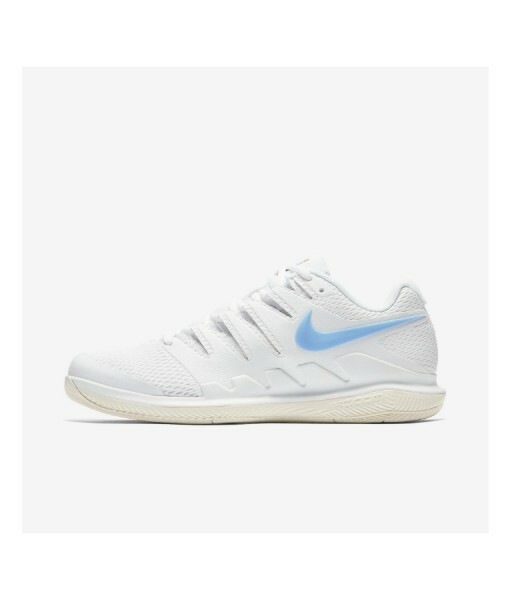 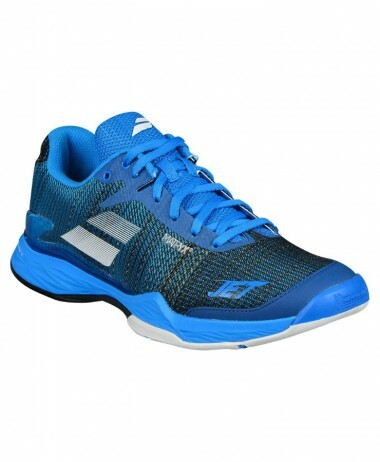 The NEW improved Air Zoom Vapor X is even lighter, faster and more comfortable, going with the current trend for tennis shoes that work well on court as well as in the gym. 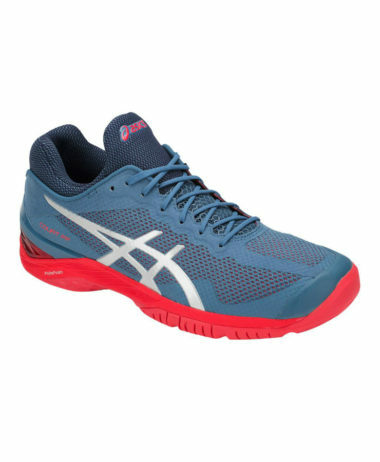 Key changes include the new, lighter open engineered mesh which gives the shoe the perfect balance of flexibility and durability. 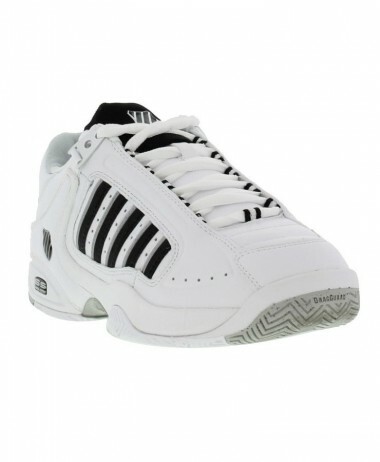 Rubber is removed in the low-wear areas to keep the shoe weight at a minimum. 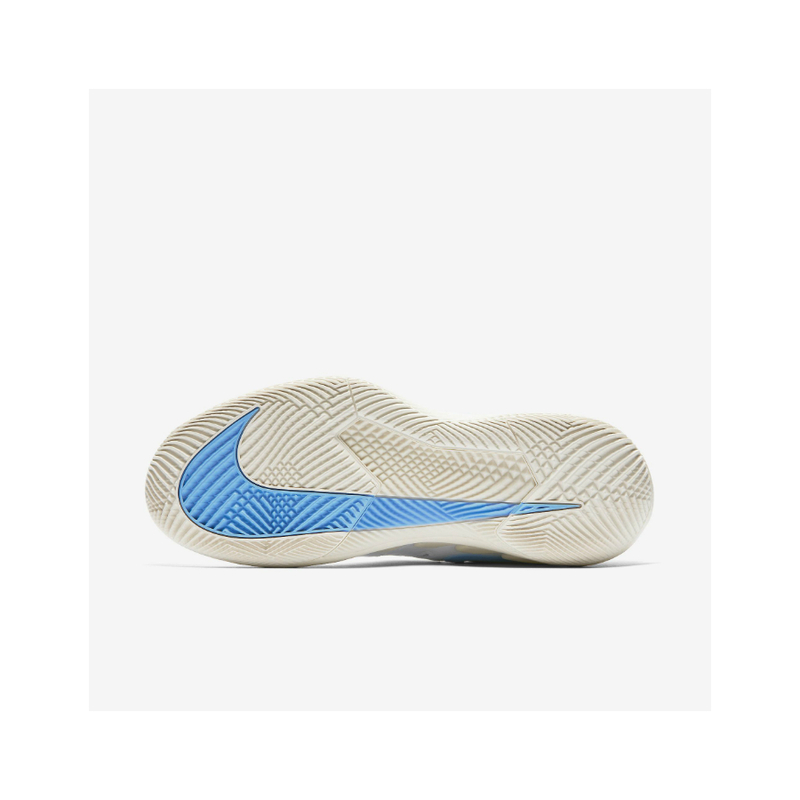 Durability is also improved on the modern herringbone outsole which was overhauled using data from Nike Sports Research Lab study on tennis wear patterns. 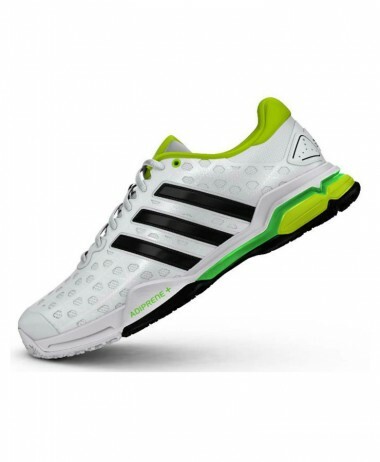 The extended rubber toe bumper adds extra protection and fits in perfectly with the new streamlined aesthetic. 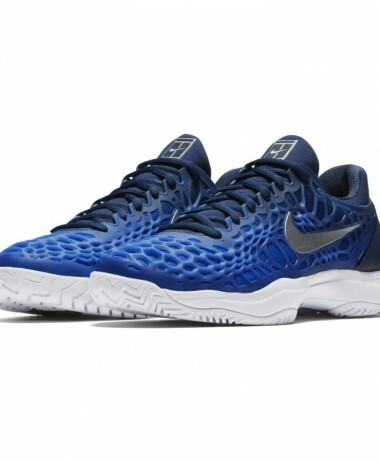 Players familiar with the Vapor 9.5’s fit will still feel at home with the updated Dynamic Fit that provides enhanced containment for that improved glove-like fit. 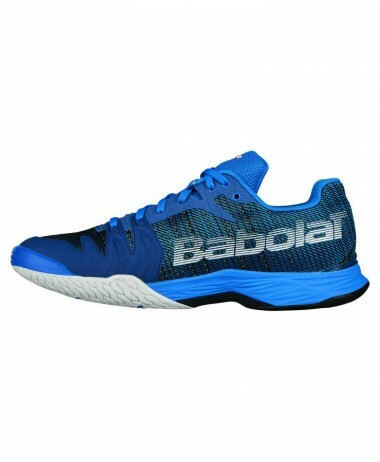 Stability is improved using a larger, yet lighter midfoot shank, and the Zoom Air Unit in the heel provides low-profile, responsive cushioning. 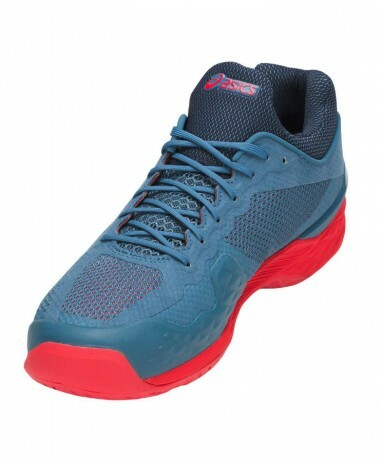 Padded collar povides extra comfort. 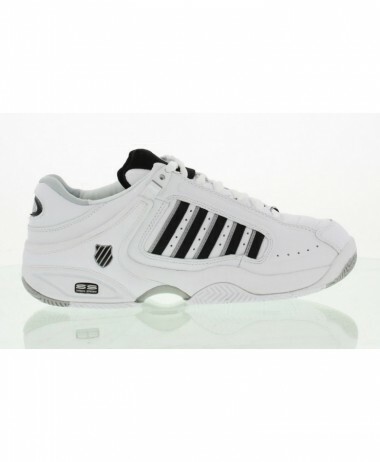 SKU: N/A Categories: Mens Tennis Shoes, Tennis Brands: Nike.